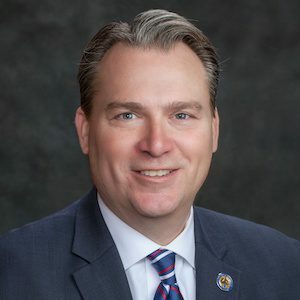 JACKSON-Courtesy bussing has been a source of contention in communities with large populations of private school children, but one New Jersey assemblyman wants to further expand the rights of courtesy bussing for those families. A bill introduced by Robert Clifton (R NJ-12) seeks to expand the range of eligibility for private school students to receive transportation reimbursement. The current law in New Jersey exempts students who travel over 20 miles to school from receiving courtesy bussing. Clifton’s bill seeks to change that. The synopsis of the bill states it will provide parents of nonpublic school pupils who live more than 20 miles from school with payment toward school transportation costs. Eligible students would be those who attend a nonpublic school, not operated for profit in whole or in part, located within the State more than 20 miles from the residence of the pupil, the parent or guardian of the pupil shall be eligible to receive a payment from the school district toward the cost of the transportation to the nonpublic school. Instead of receiving courtesy bussing, the parents of students attending those school would receive a check from the state to pay for private transportation costs.